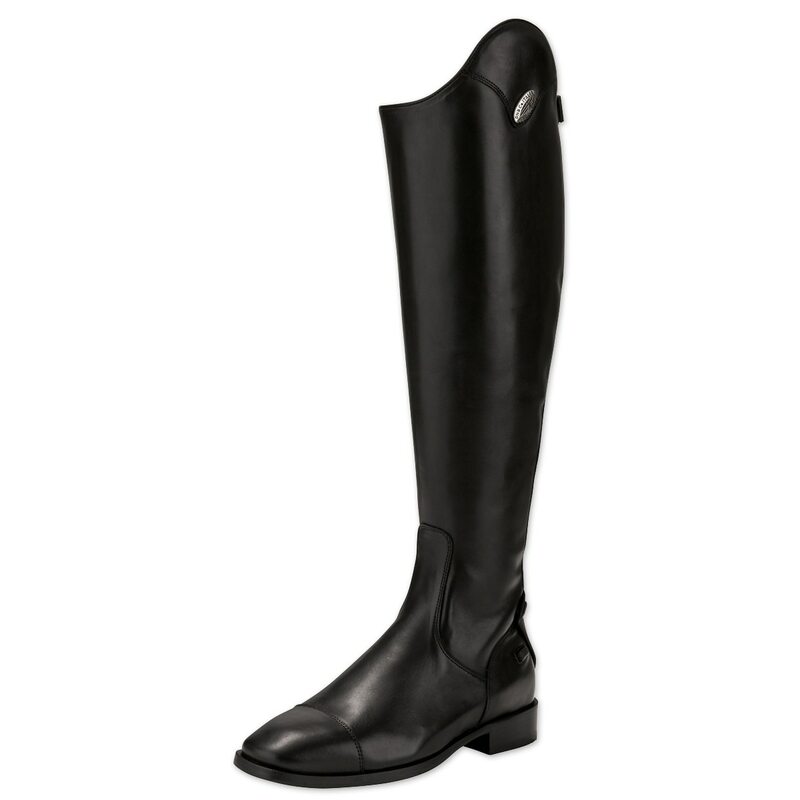 The DeNiro TriColore Leccese Dress Boot designed exclusively for SmartPak is a completely handmade riding boot constructed from DeNiro's superb performance, quality and attention to detail. 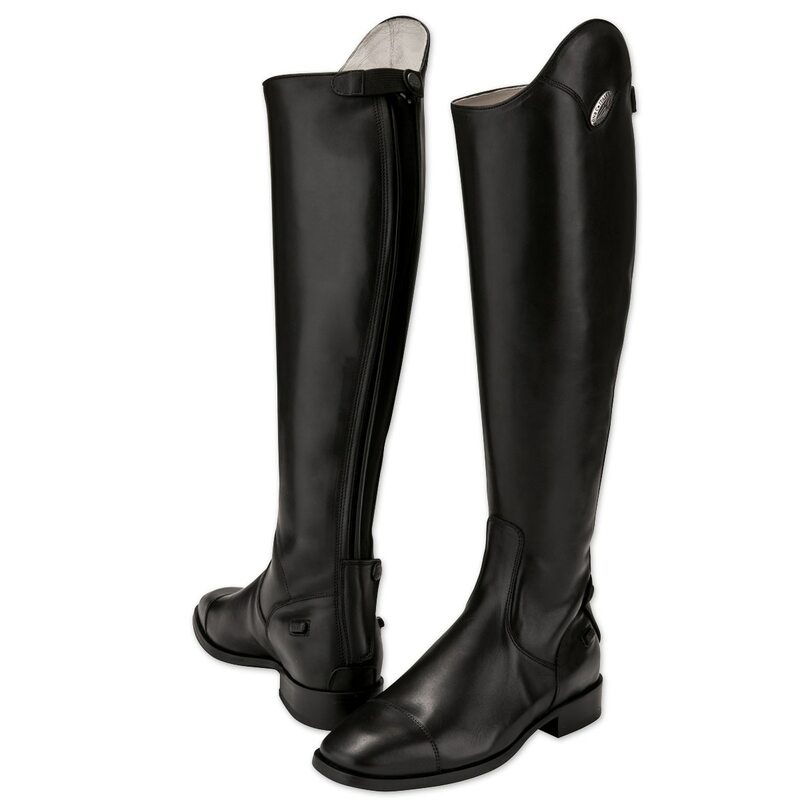 Featuring calfskin leather inside and out and a leather anti-slip outer sole to keep your feet secure in the stirrups. 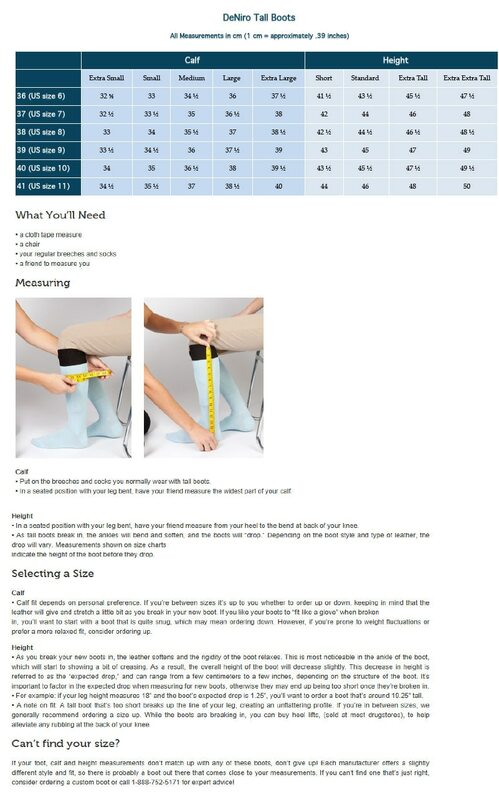 Tricolore by DeNiroBootCo Leccese Dress Boot is rated 4.9 out of 5 by 9. Rated 5 out of 5 by cdrcma from Fit perfectly! I bought these a couple weeks again and couldn't be more happy. I am very short in the calf and they fit as if they were customs. The first time I rode in them I felt like I had been riding in them for years. 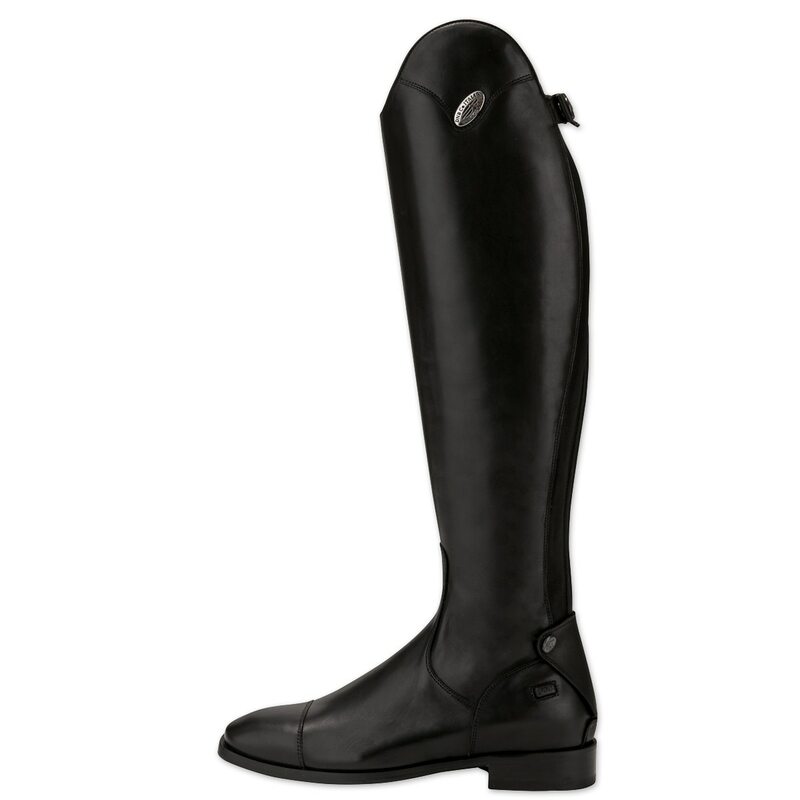 Definitely a great choice for those who prefer a softer leather/closer connection against the horse with your boot. Rated 5 out of 5 by Brenda from I'm buying a second pair so I'm never without them I am infatuated with these boots! 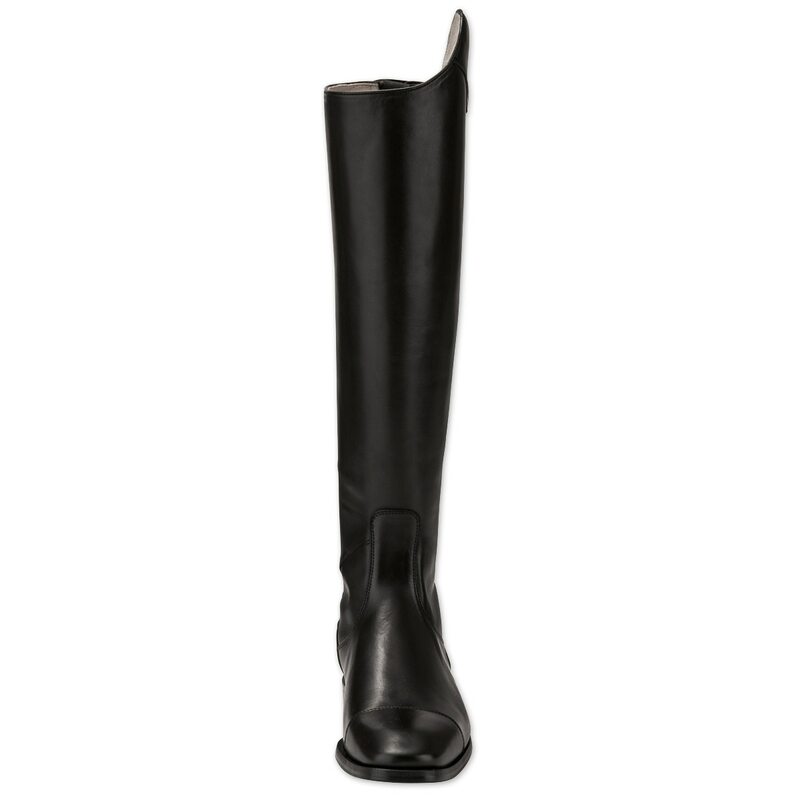 They fit like a dream and have a flattering shape, the leather is wonderfully soft. I have just ridden in them a few times and I'm back now to buy a second pair so I always have a spare. Rated 5 out of 5 by Emily from Beautiful boot I am so excited about these boots. They fit great straight from the box. My trainer commented from down the barn aisle that they looked like a custom pair. Have not been fully broken in yet, but reasonably comfortable for the first rides so far. Leather and design are beautiful and appropriate for the price range. No regrets with these and I hope they hold up! Rated 5 out of 5 by owalt from Lovely! These boots are absolutely wonderful. Very nice looking and easy to break in. Great price too! Rated 5 out of 5 by Calliebermuda from Very Classy Boots These boots are amazing quality, very classy and were comfortable from the first ride. The ankles were a bit tighter than I thought they would be but I love the detail and the square toe! I would highly recommend them!!! Rated 5 out of 5 by edie from The best Worth every penny and more. Comfortable and sized very well. Rated 5 out of 5 by KMHS from Very Nice Boot These Boots fit in the calf and heght as measured. The foot runs a little smaller than that of the same size Ariat Monaco. Rated 4 out of 5 by AriderUtah from Plain soft boot Tried these and found they were way too soft, and I like a softer boot for Dressage. I felt like there was no ankle support. There are spur rests which I hadn't noticed in the photos. I'm not a fan of the logo on the outer calf- it does not seem removable. The foot runs a little small, but not more than 1/2 a shoe size. The calf runs slightly larger than other boots. Rated 5 out of 5 by Cami from Stunning boot!! These boots are stunning and so comfortable right away. Unfortunately they were still not tall enough for me, when I measured they were close I thought they might work. I was SO sad to send them back I would have loved to keep them.